After years of dashing from business trips to school pickups, Tan craved the kind of clothing that moved and breathed, yet still looked timeless and elegant. And so, she created Cozure. With a BS from Cornell and a PhD from UC San Diego, Tan has spent her career in executive leadership roles, serving in government as Chief Information Officer and as IT Director at MIT Sloan. Always valued for her cross-industry thinking and inspirational management skills, she was also known for her elegant style and colorful wardrobe. With Cozure, Tan is returning to her first love, fashion—with practicability for the real world. 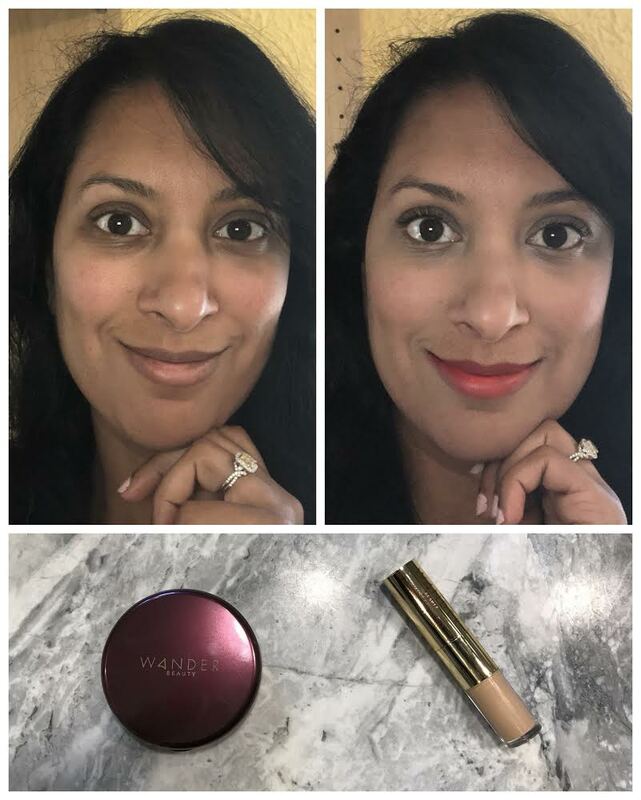 I don’t get tempted by products on Instagram easily, but makeup brand Wander Beauty intrigued me. The beauty brand promises ease of use and a natural finish. So at $40 for the WanderLust Powder Foundation compact and $29 for concealer, I thought I could give it a go. The compact and concealer came in simple packaging that matches their Bordeaux branding scheme. The compact was lightweight and came with a powderpuff that fits neatly inside the compact. The concealer has a functional and portable packaging design. One end twists open like a lipstick and the other has a liquid well like a lipgloss. The concealer worked well and the lipstick side was quite opaque. However, it may not be a perfect color match for me. The powder foundation compact is phenomenal!! I love the light natural coverage and ease of fuse. The finish was weightless, natural and dare I say buttery! The Tan color worked well for my skin tone and I can’t wait to take this on my next trip! I’m definitely going to purchase again and will be trying other products from this line as well. See other reviews just like this one on Cozure's YouTube Channel. Downsides: Colors are a bit limited. Would I purchase again? : Yes! As a fashion forward professional, I have loathed what the shopping experience has morphed into: fast, cheap and uncomfortable. Our bodies are precious! They deserve to be pampered with clothes that wrap us in luxury, comfort and effortless style. No spam, no junk…we pinky promise!